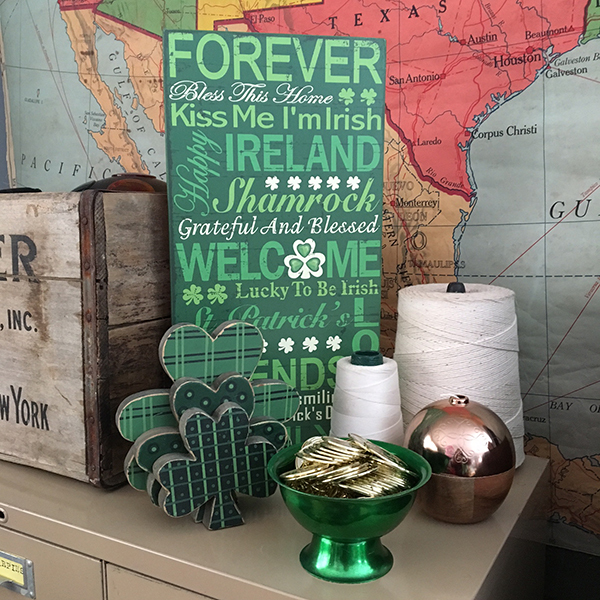 I know St. Patrick's Day isn't a major holiday, but I love green so I try to decorate for it as much as I can. 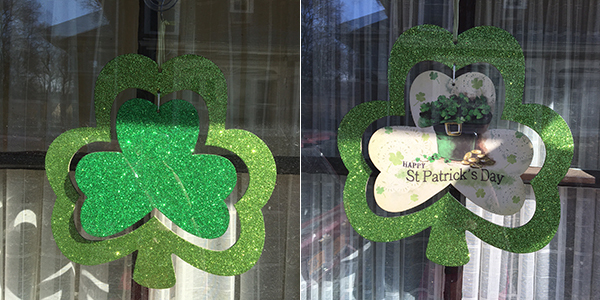 Hit up Dollar Tree again. Glitter! I love these plush cushy dish towels. Not for actual using... no no no. 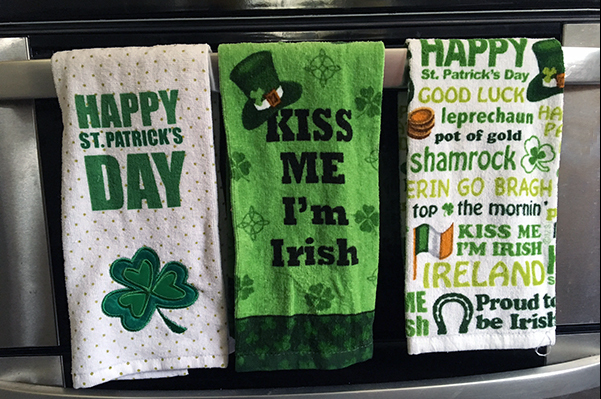 We just look at these dish towels. 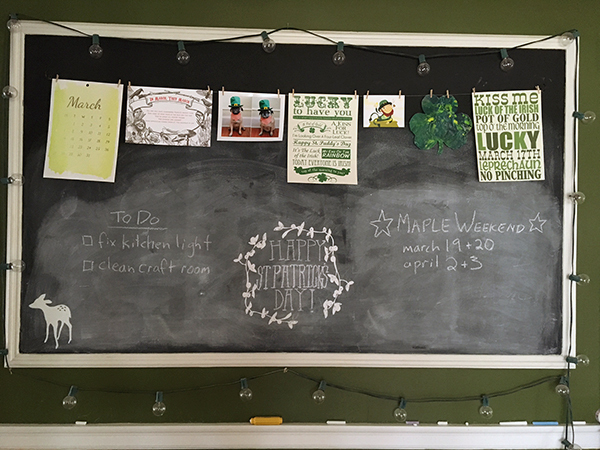 Even the chalkboard gets updated for St. Patrick's Day. 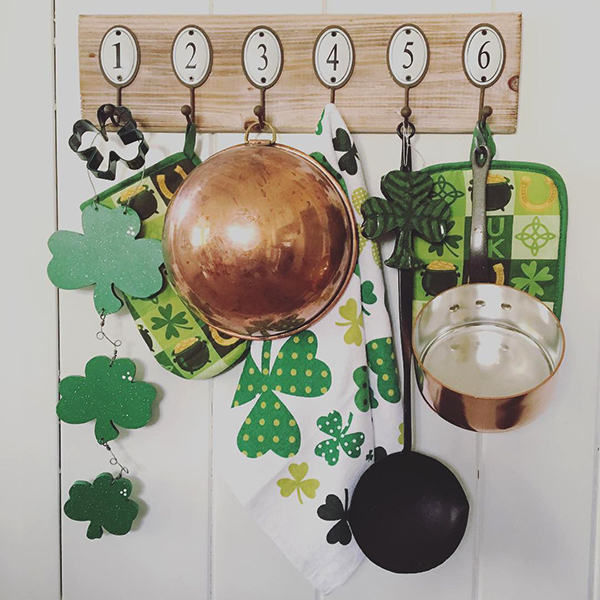 I have to say there is a serious lack of St. Patrick's Day kitchen accessories. Those were the only oven mitt and pot holder designs I could find.